Easy Pizza Sticks-- Make in 20 minutes and stuff with your fave toppings! 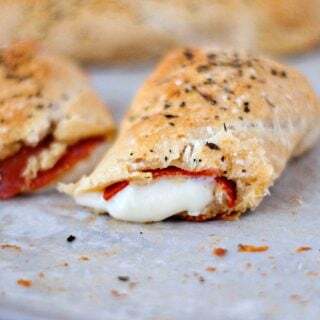 These Easy Pizza Sticks are filled with mozzarella cheese and wrapped in tender dough. 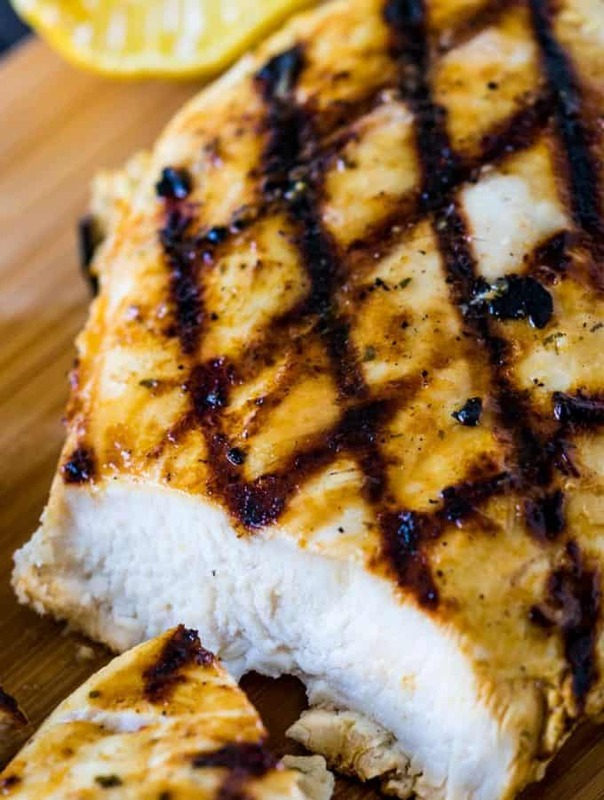 They have all the flavor of pizza without all the work and come together in just a few minutes. 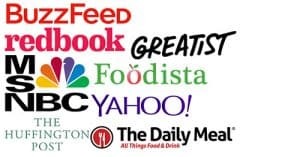 Perfect for kicking that pizza craving straight to the curb! I’ve been craving pizza something awful these past few days, and I’m not feeling motivated enough to make my homemade pizzeria style deep dish pizza, my Pizza Dip even my chicken bacon garlic bread pizza, so I thought I’d pull these easy pizza sticks out from my photo archives and share them with you today. 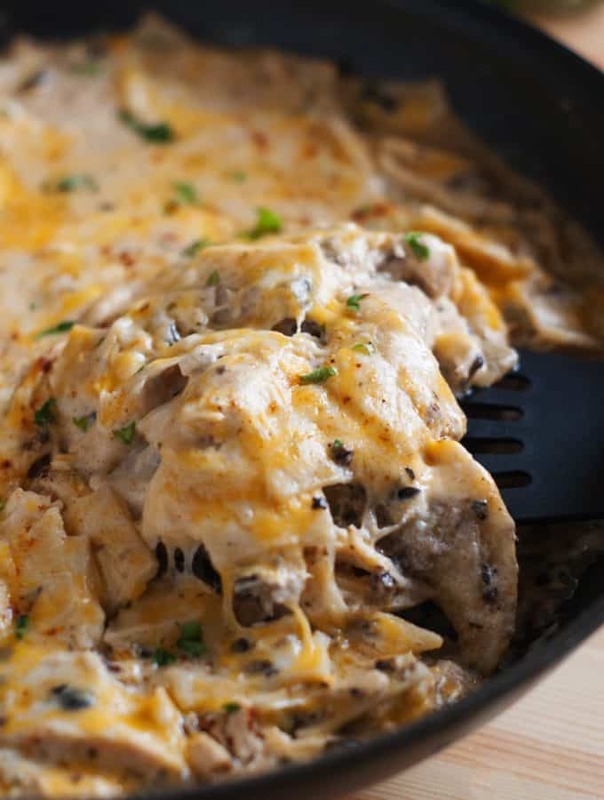 If you’re in the mood for carby-cheesy goodness without all the work, these babies are for you! 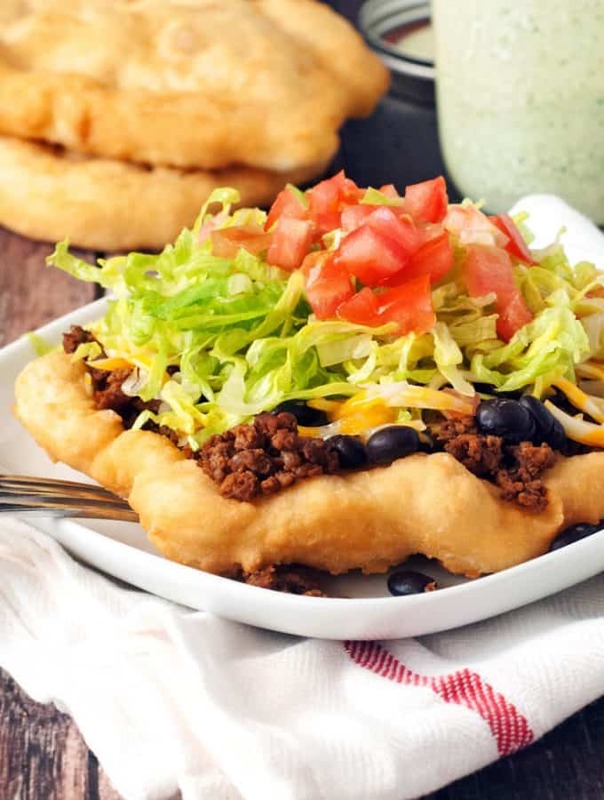 They are super simple and you can be noshing on them in about 20 minutes if you get to work right now! 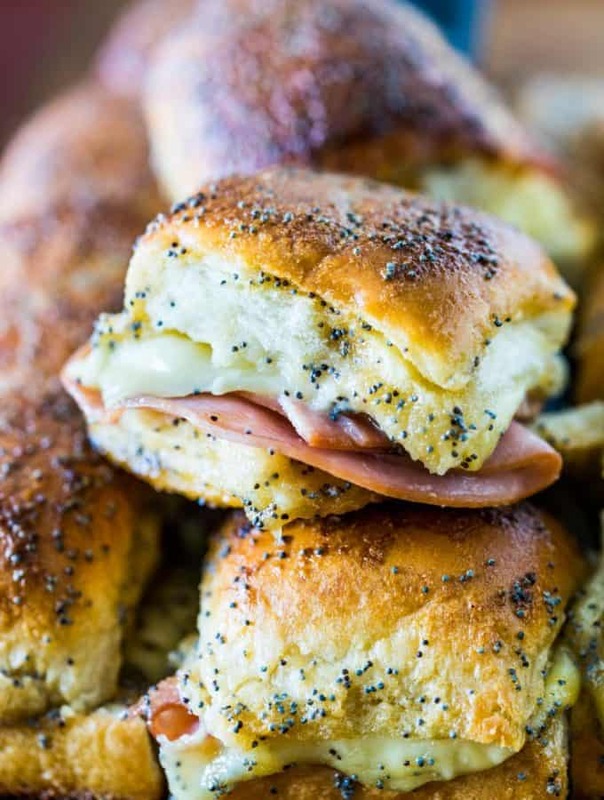 We’re using premade crescent roll dough to keep things simple and let’s face it, delicious. Maybe I’m crazy, but I love myself some tube dough.<— that sounds less appetizing than I mean for it to be. 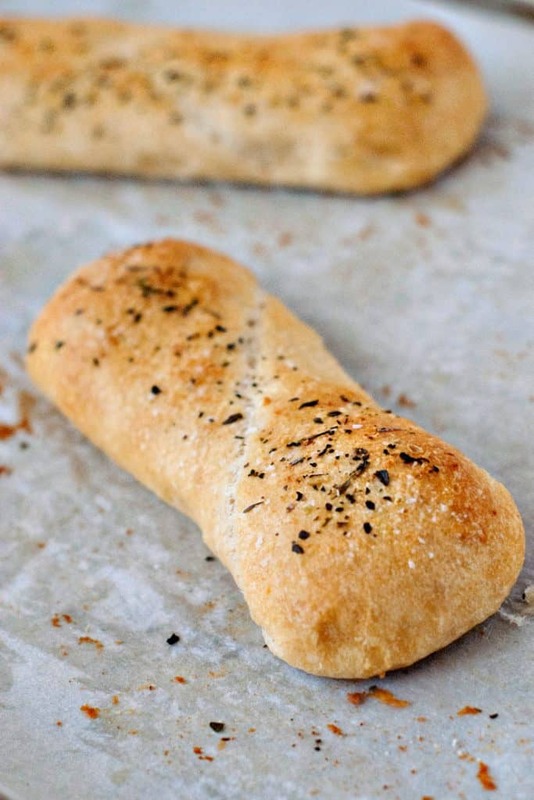 It may not be the most nutritious bread in all the land, but it’s so flaky and buttery and is perfect for these pizza sticks! Step 1). 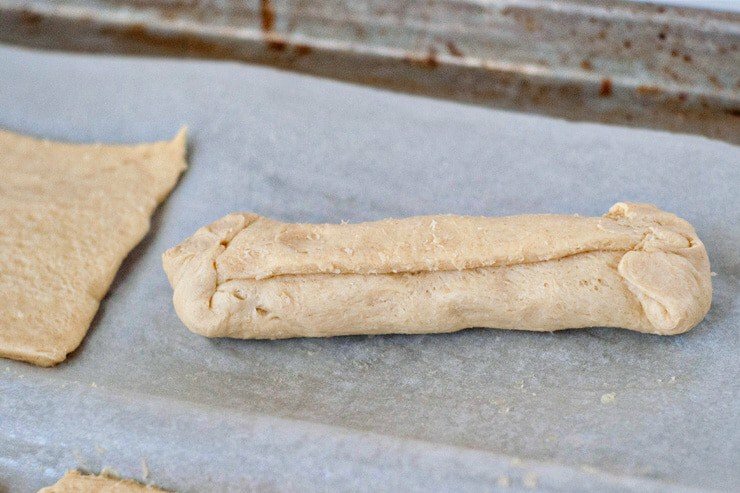 Unroll the crescent roll dough and separate into sections of two triangles each. Separate the dough into rectangles and pinch the seams together. Step 2.) Once the seams are pinched together, line up some pepperoni and place a whole piece of string cheese on top. 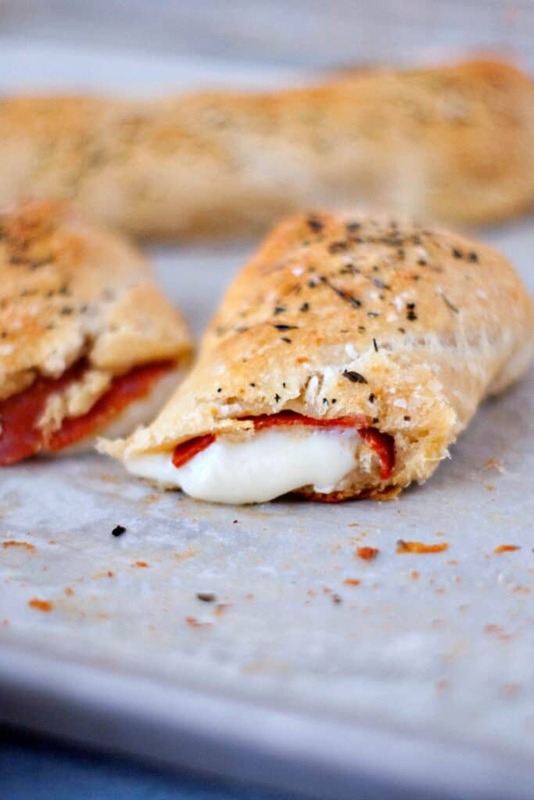 You can put whatever your favorite pizza toppings are inside these stuffed pizza sticks, so be creative! Step 3.) Fold the dough over the cheese and then fold the ends up and lightly press down to seal. Step 4.) Brush each stuffed pizza stick with olive oil and give them a little sprinkle of garlic salt and Italian seasoning and/or parmesan cheese. Doing this makes them look much more gourmet and impressive. Step 5.) Bake unit they are nice and golden brown and tear into one as soon as you can! There’s something about molten cheese that gets me every. single. time. Step 6.) 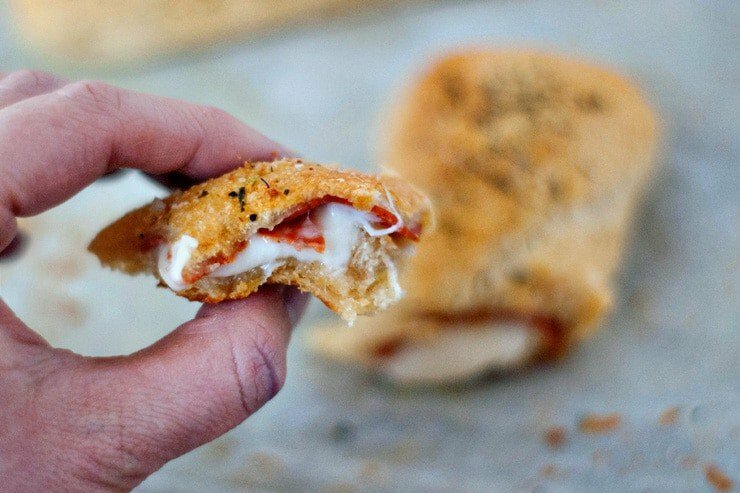 These pizza sticks are great just on their own, but after a quick dunk in a little marinara sauce, they turn into a definite pizza craving stopper. Enjoy! 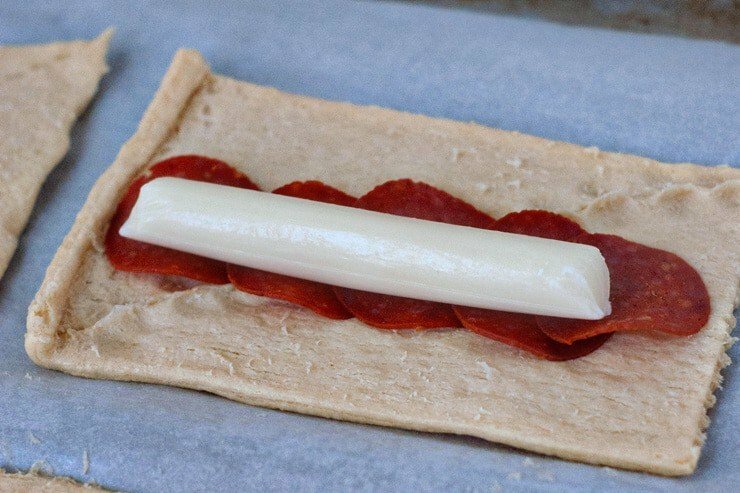 Can you Freeze Stuffed Pizza Sticks to Bake Later? Yes! 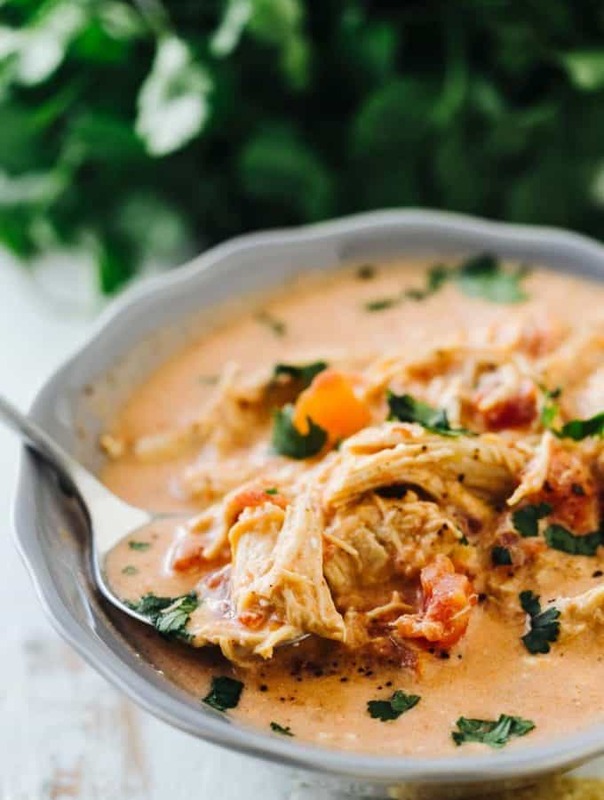 Not everyone wants to take the time to prepare these when that pizza craving hits! So, to get ahead of the game, prepare the pizza sticks like you were going to bake them and instead of placing in the oven, place the baking sheet in the freezer. Freeze until the pizza sticks are completely frozen and then transfer into a freezer bag. When you’re ready to eat some, take the pizza sticks out of the freezer and place on a baking sheet. Allow pizza sticks to thaw for about 15 minutes and then bake as directed in the recipe. 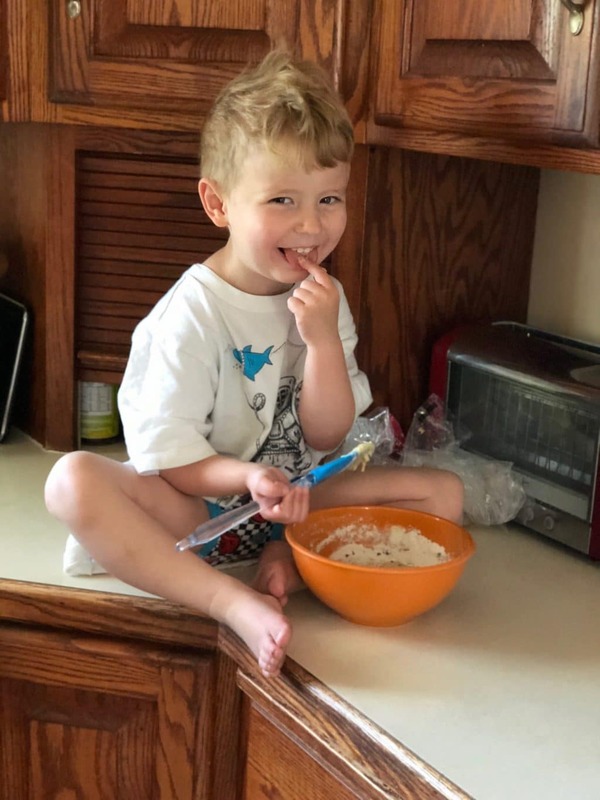 Cooking time may be longer. Pastry Brush— You’ll need something to brush the olive oil onto the pizza sticks, and these silicone pastry brushes are my favorite. They are so easy to clean and last forever, too. 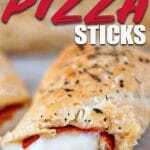 These pizza sticks are one of the quickest and easiest things to make and my kids go crazy for them! 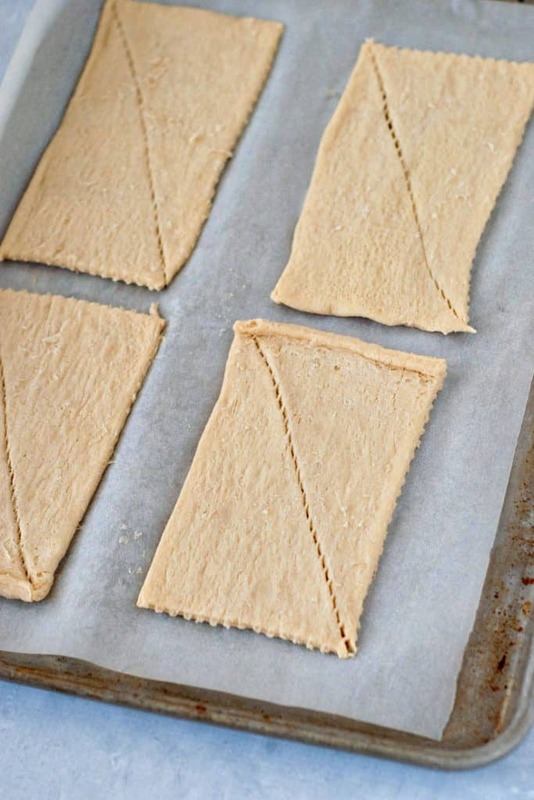 Roll dough out and separate into rectangles with 2 triangles in each. Pinch the seam together. Line each rectangle with 5 or 6 slices of pepperoni and top with a string cheese. Fold the dough over the contents and fold the sides up and over to seal. Place sticks on a lined baking sheet. Combine butter, parsley, and parmesan cheese and brush over the tops of each stick. 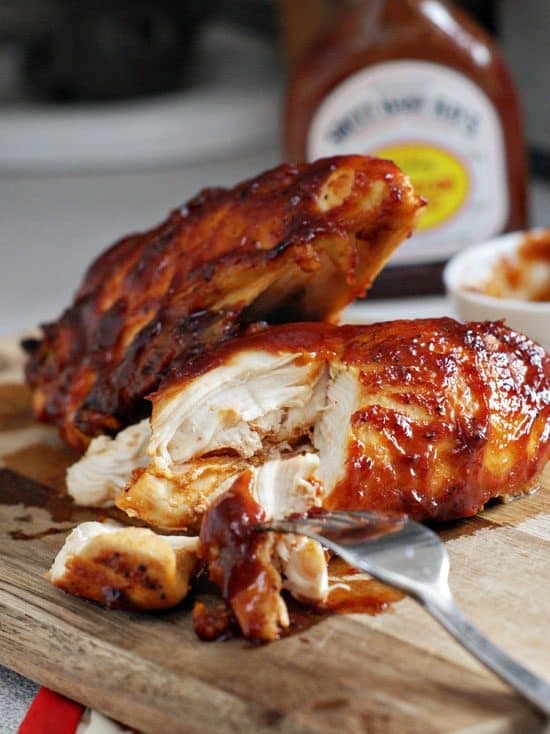 Bake for 10-12 minutes or until golden brown on both the top and bottom. 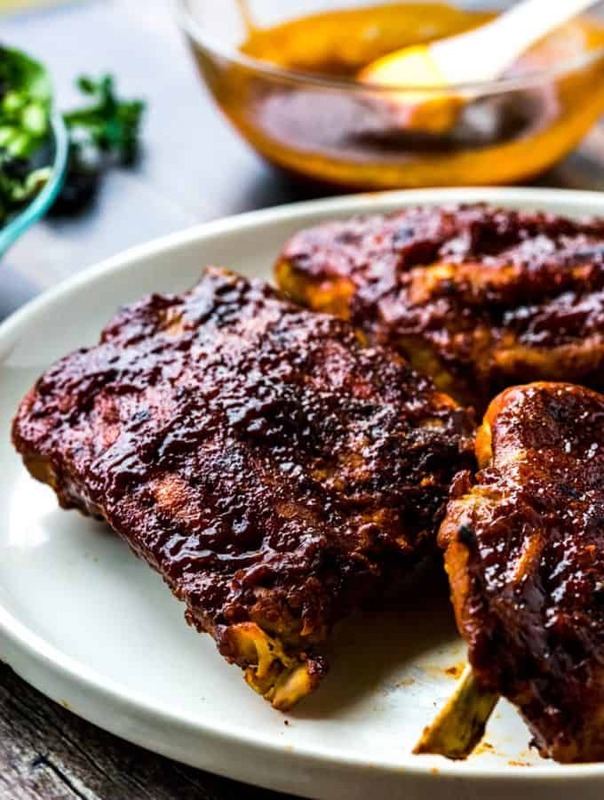 Remove from oven and serve hot with marinara sauce for dipping. We made these last night and my kids loved them! One thing I’d note is that when you get crescent rolls be sure to get the plain ones and not the buttery ones. 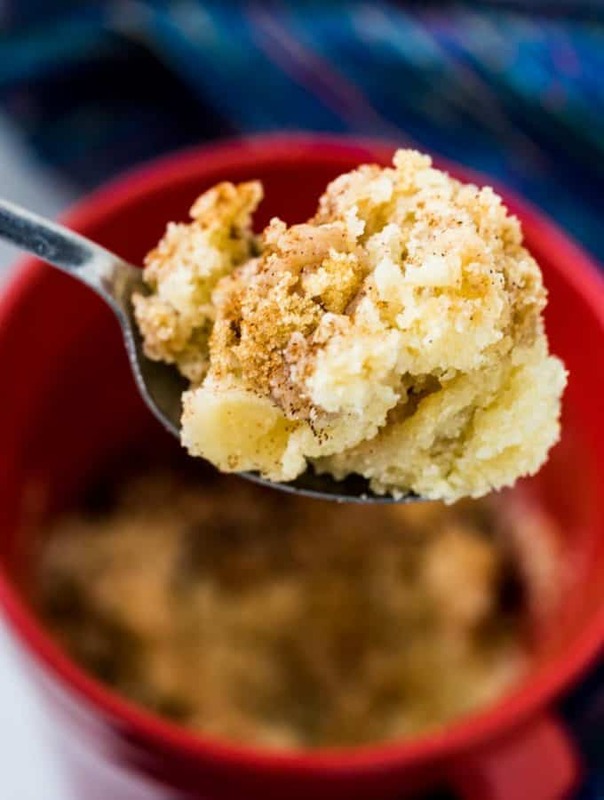 The butter flavor in the buttery ones will just be way too rich, I know this from using the buttery ones to make something like this in the past. Then again who knows, maybe some people like that. I definitely didn’t though. Save the butter flavored ones for when you’re eating the rolls by themselves.